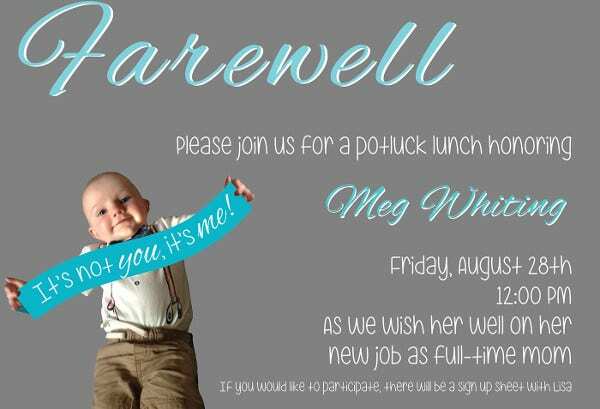 Is your coworker, employee, or manager going away for good? 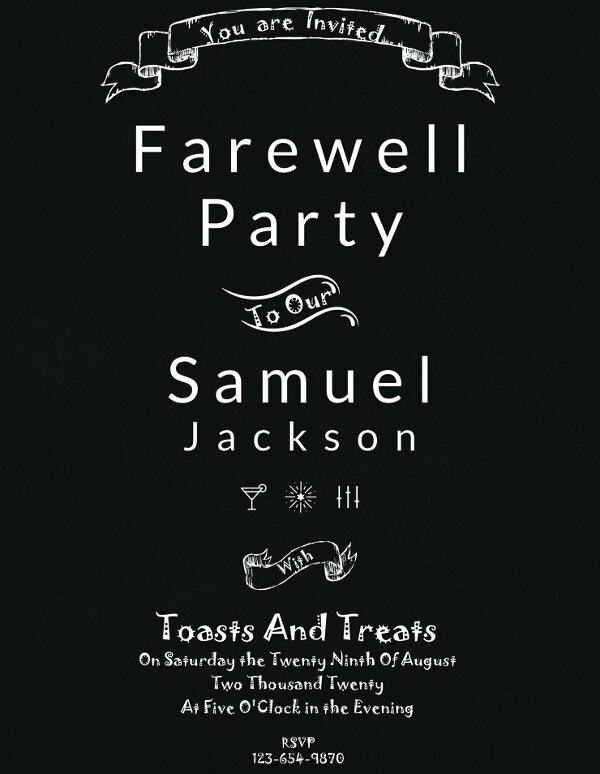 Throw them a farewell party to celebrate how much you care and appreciate them. 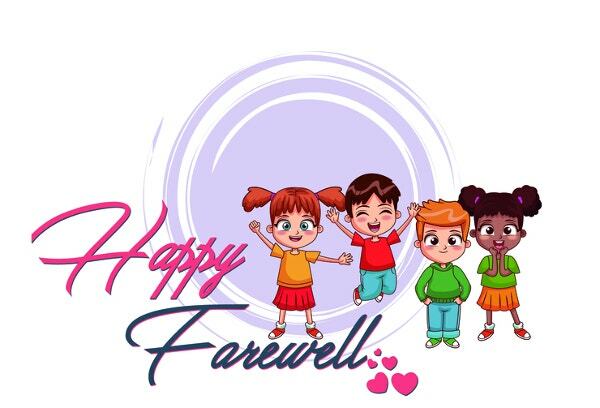 It could be that you have a family member who’s going to college or a friend moving to a new city. 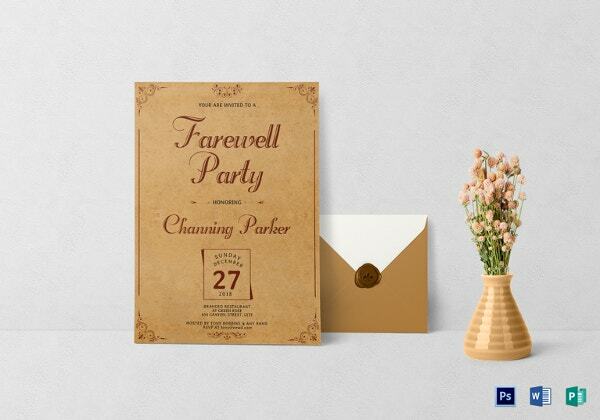 Let them know how much you’ll miss them with our farewell invitation templates and make them feel good and collect beautiful memories with you along the way. 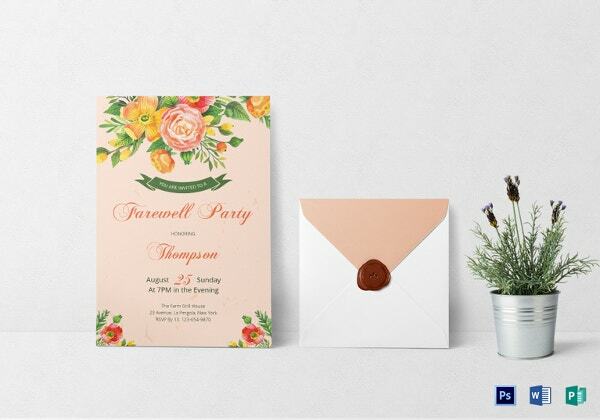 Send off a bride-to-be or a promoted employee to their new home or workplace with professional farewell invitation templates that you can customize using Photoshop and other Adobe applications. 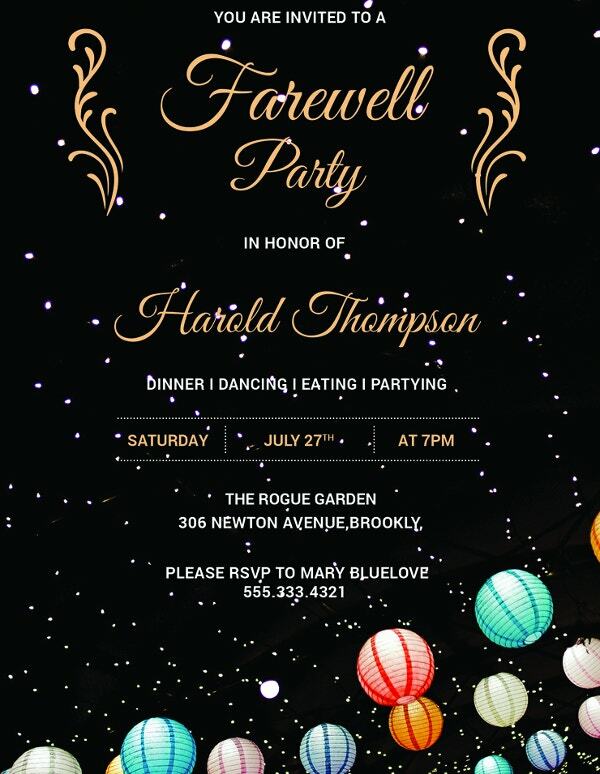 Print it in high quality or post it on social media easily by making adjustments to size and resolution. 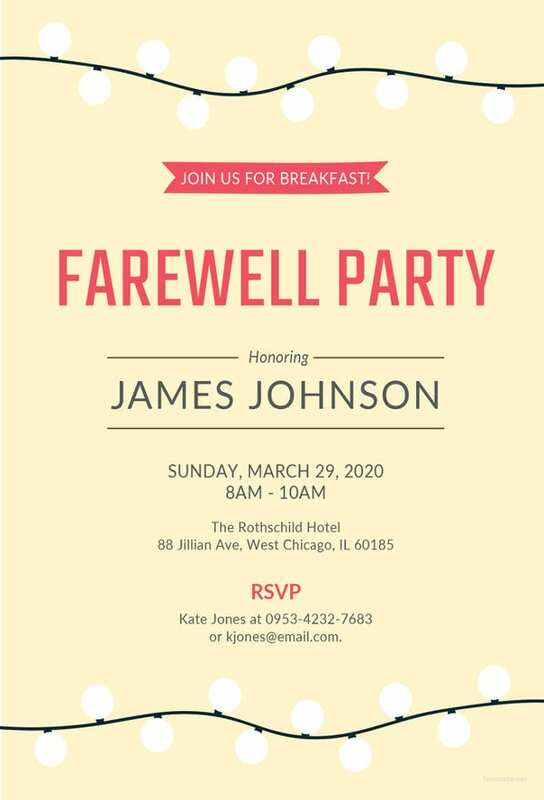 Breakfast Club Farewell. 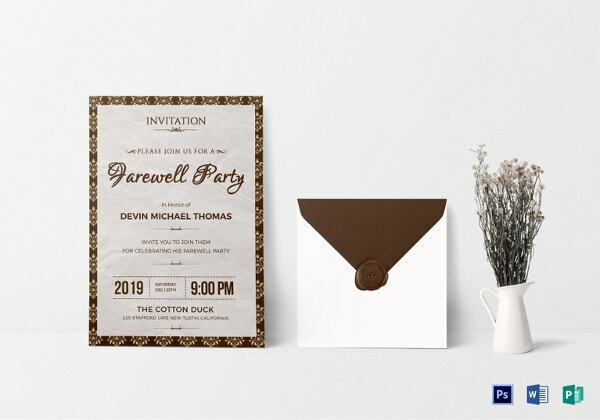 Before your friend hits the road for good, treat them with a delicious pancake paired off with their favorite hot coffee flavor to keep them full on their trip. 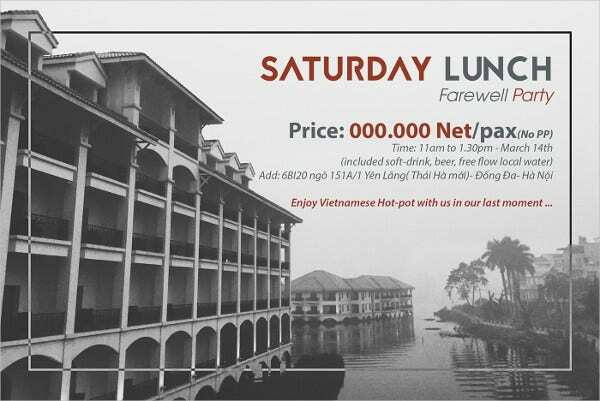 Lunch for the Champion. 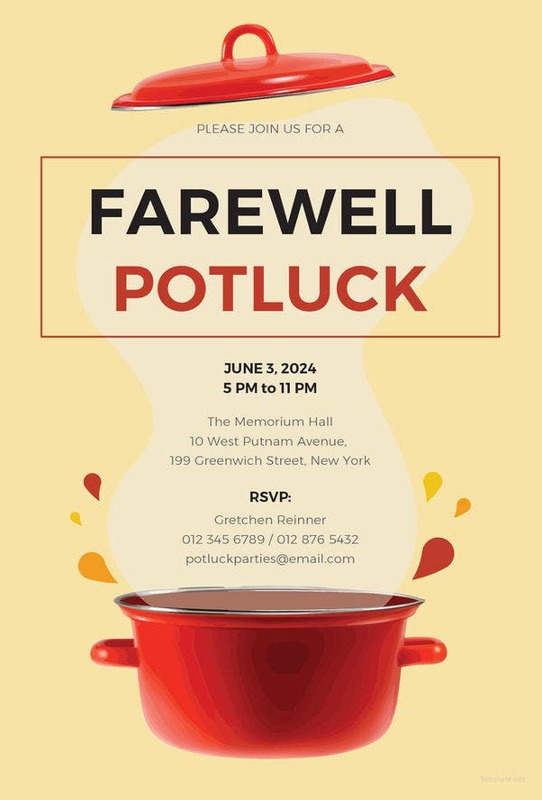 You could be bidding farewell to an employee who just got promoted and relocated to a new branch office, it’s high time that you should engage him or her to a champion’s circle lunch party. 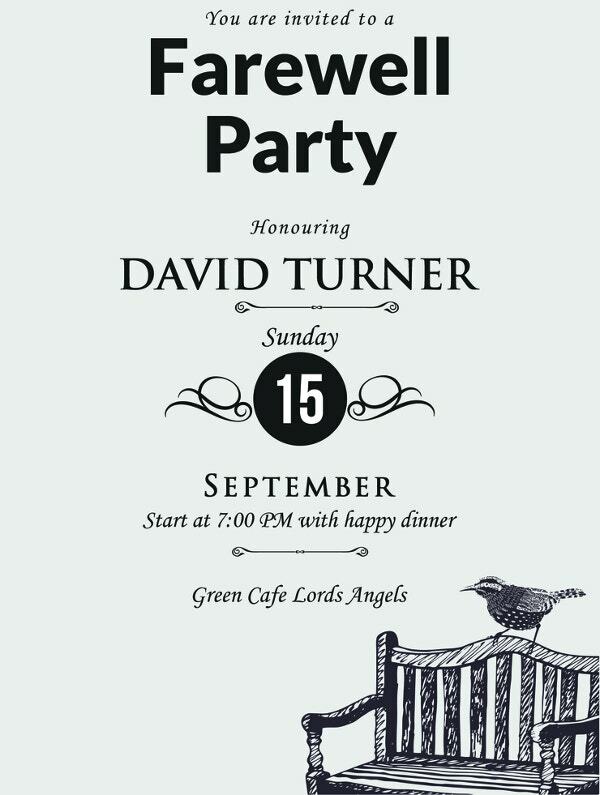 Well-Wisher’s Lane. 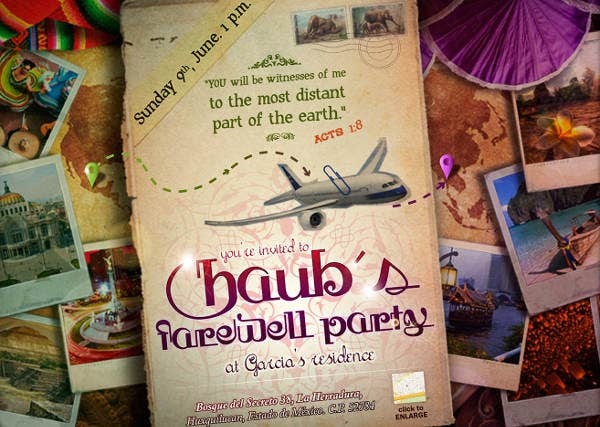 It’s one of those moments when you have to say goodbye to a family member who just want to pursue their dreams abroad. 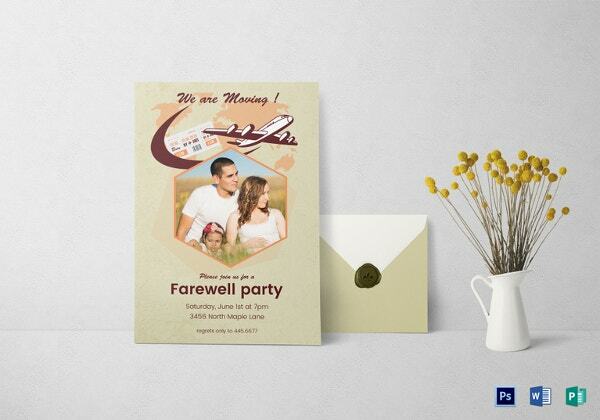 Give them an airport farewell, by using our invitation for each of your family members to write their own personal messages for the recipient. Turning Point. 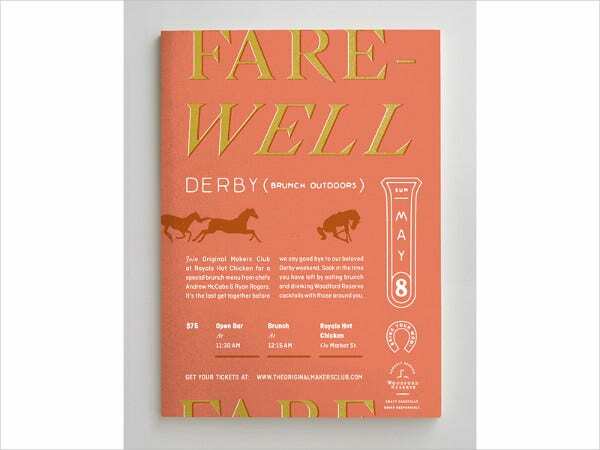 Sometimes, an unexpected turn around happen in someone else’s life that’ll make them leave town for a greener pasture. 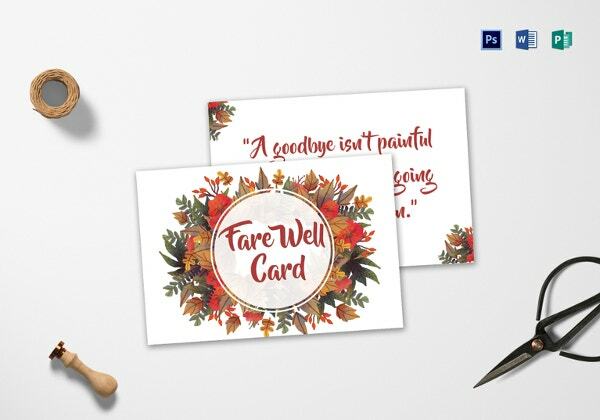 Give them something to treasure when they go with a heartwarming farewell note using our templates. 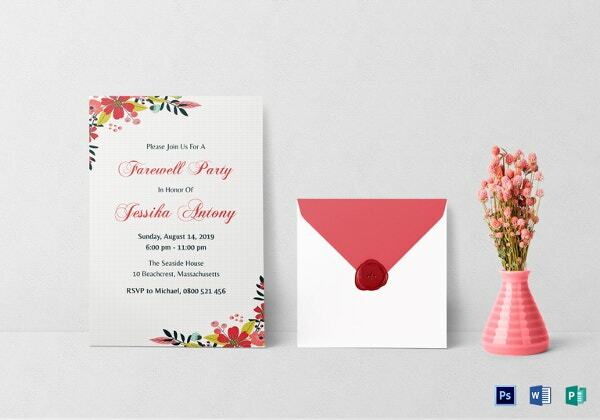 Besides being easy to use, our party invitation templates are user friendly, and you can edit them with the aid of simple Photoshop preset tools such as text and select tools; you really don’t have to be a graphic designer expert in order to customize our templates. 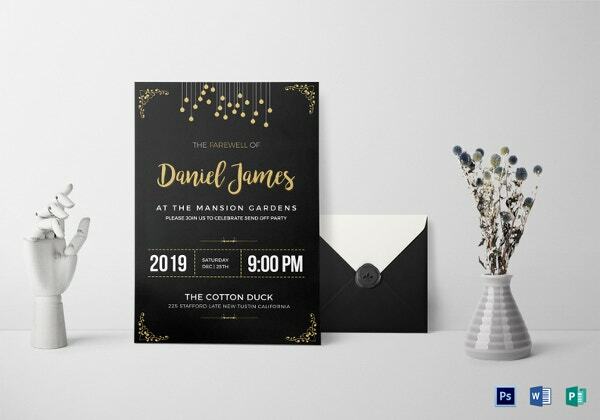 You just need the right editing application like Adobe Photoshop to adjust the party invitation templates in the way you want them to look like. 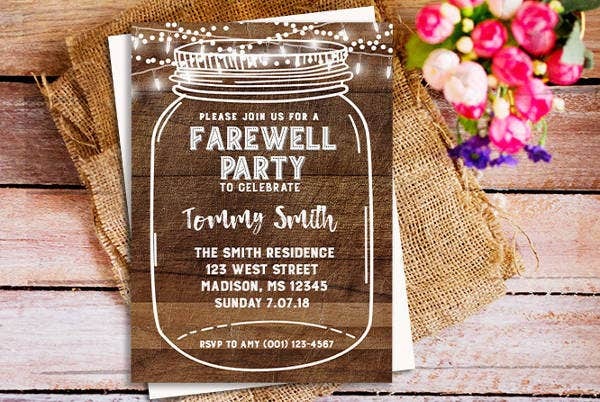 Chalkboard Invitation Card Template. 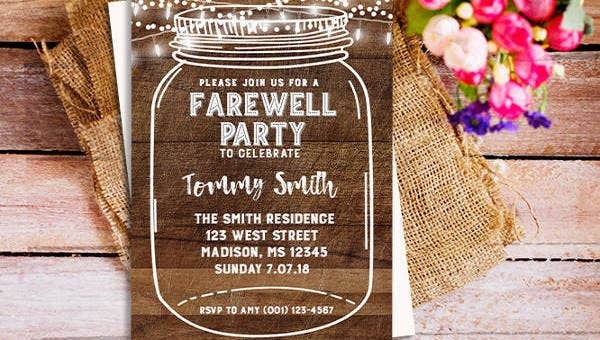 This chalkboard design is perfect for a lovely bride-to-be who’s moving to the other side of the country to start a new life with his husband. 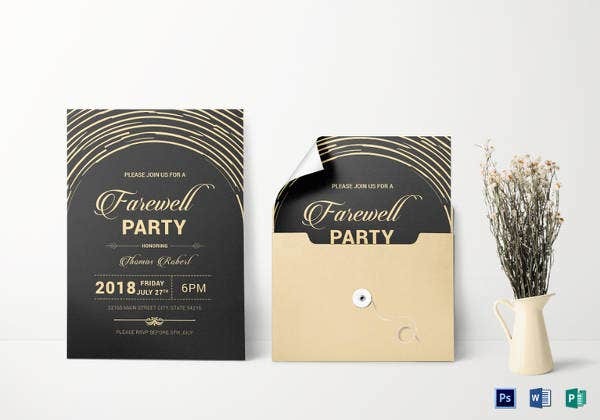 Farewell Invitation Card Template. 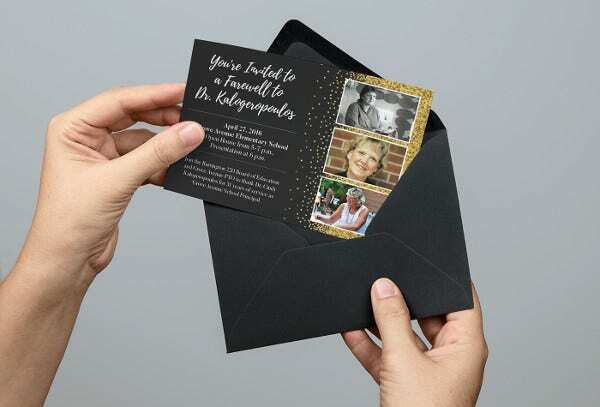 Check out the black-and-gold design with a neat envelope for grandmothers and other influential people in your life who’s going away to another place. 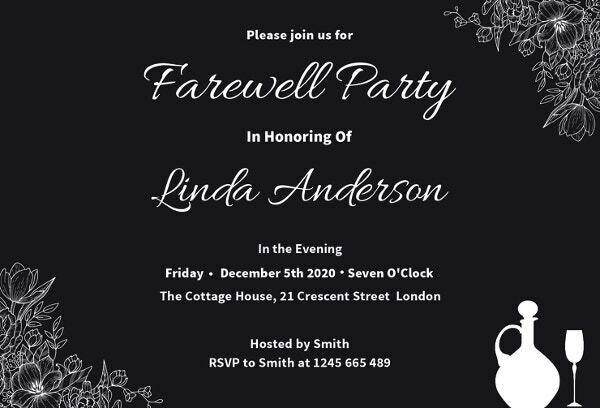 Formal Farewell Invitation Template. 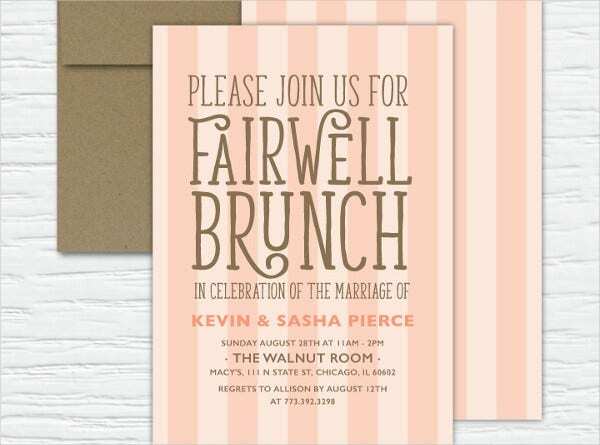 Get a card of stripes for formal going away greetings. 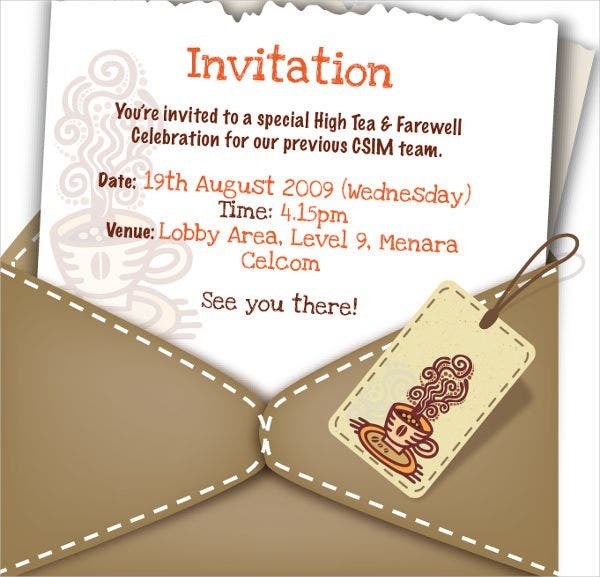 Farewell Lunch Invitation Template. 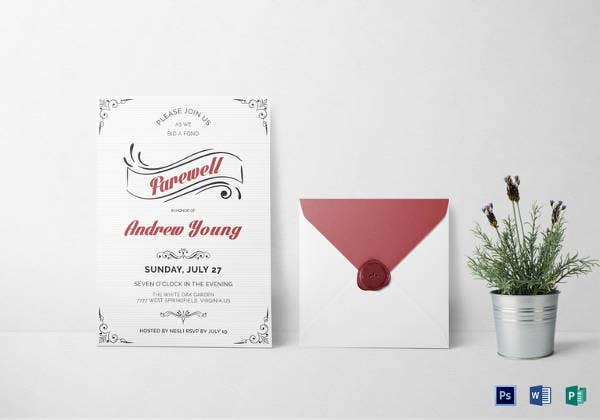 Throw them a heavenly luncheon party they’ll never forget with our formal resort image invitation design. 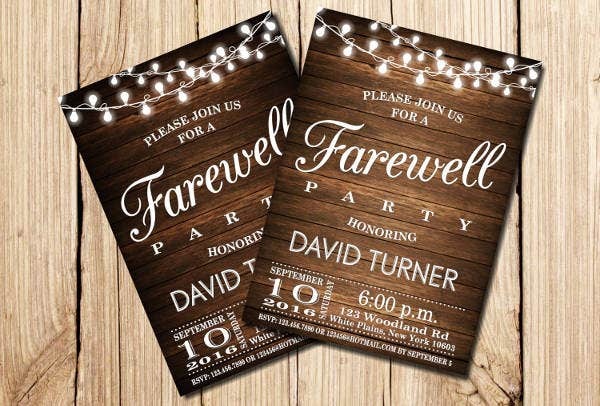 Some ideas you can try for your party invitation templates include making rustic farewell invitations using burlap and lace, spreading elements on a blank template like petals, or applying a different texture on your invite like a stain-glass texture. 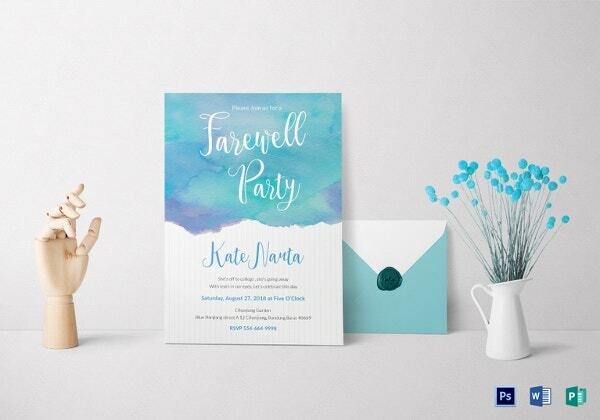 Check out more blogs for advice on how to spruce up your invitation templates.